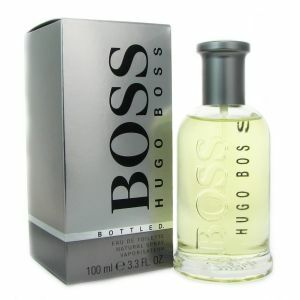 Hugo Boss is a prolific name in the fashion industry: it’s a luxurious style house originating in Metzingen, Germany. Metzingen — not surprisingly — is the birthplace of Hugo Ferdinand Boss, himself, a German designer born in 1885. After the First World War, Germany was in a sheer economic downturn. In troubled times, the women and men went first to the grocery store — maybe never to the Hugo Boss Fashion House to think about daily life wear. Hugo Boss went into bankruptcy — and perhaps into a sort of desperation. 1931 left the designer with just six sewing machines and the rev and energy to start anew. And he looked for a few friends to back him: what better friends, at the time, could one find than the Nazi Socialist Party? They had the power of Germany and were growing in funds and backing. 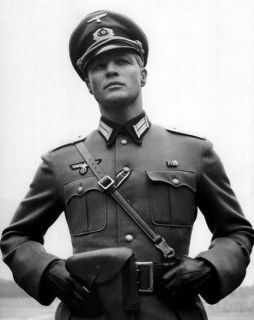 So, generally speaking, Hugo Boss became a Nazi. He sponsored the SS, the German Labor Front, the Reich Air Protection, and several other Nazi-run organizations. And his profits flew through the roof with the support of his new friends and allies. After increased uniform demand, late in the war-period, Hugo Boss employed approximately 40 prisoners and 150 slaves from the countries of surrounding Europe. 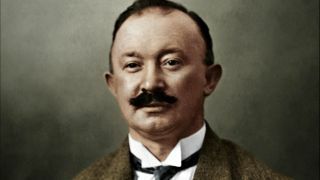 He and Hitler were pictured together in Boss’ apartment; Designer was a great supporter and dear friend to the greater boss. And Boss’ career expanded. Bankrupt in the early thirties and a great, rich man in the early forties. It seems a dream. Luckily, the war ended in 1945. And so did Hugo’s dream — his uniform projects and slave labour, his expanding war-run business. In 1946, designer was deemed a Nazi supporter and contributor; therefore, he was unfit to run the business he had initially created. He was fined heavily — but the money he had earned during the war boosted his company through these tough times. The Fashion House survived, even through Hugo Boss’ death just three years after the war, in 1948. But they would have to create a different line: their war revenue with depleted. They looked to men’s fashion after a decade of designing for the military. Eugen Holy strapped himself at the helm of Hugo Boss line, embarking out into the world of men’s suits. Suddenly, seated in the aforementioned “slave seats”, 150 actual employees sat working for the thriving Hugo Boss. 1969 — after some twenty-three years of growth, Eugen left the company for increased modernity with his sons, Jochen and Uwe. They enlarged international development, thus involving their company again in a world war of sorts: the war of fashion and demand. Boss Green, which focuses on sports, mostly tennis and golf. The Hugo Boss mindset prescribes that a fine, immaculate suit requires a sensible zest of cologne. Their suits were matched excellently with the Boss fragrances — each of textiles held with them a corresponding scent. Even your less-than-fashion-forward man could match the fragrance with the appropriate suit textile. 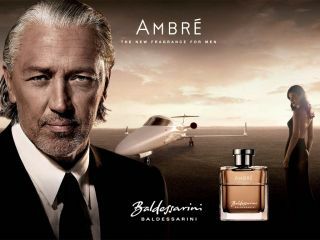 Another fantastic fragrance designed by Annick Menardo! 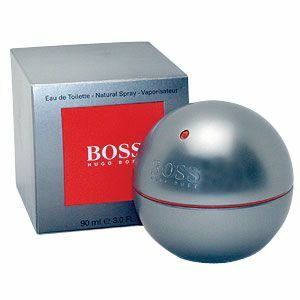 The spirit of the brand and classic values of elegance and style are captured in the bottle of Boss fragrance. This fresh and masculine scent will push your confidence to the highest limit possible and make success the part of your everyday routine. Boss Bottled is warm and spicy, which makes it perfect for daytime fall and winter. The lasting strength is quite good, the sillage being rather intimate and inoffensive. Created for the dynamic man who accepts no restrictions and conquers the world on the go. Expect the fresh woody notes at the base, which make Boss in Motion a truly sensual masterpiece. You will love the way the oranges and the musk blend together. The fragrance is versatile, equally good for both cold winter nights and fun summer days. The longevity could be a slight problem, but some men get around 5-6 hours of it which is a nice average length. Launched in 1995, this cologne could well be the one of your all-time favorite fragrances in high school. It has a sort of green scent, with the rum and fresh apple pop out at first followed by a delicious mossy sandal wood. Hugo Man is best associated with a guy who is not afraid to show a bit of pride in his appearance with an outgoing and charming personality. It's the kind of fragrance everybody loves, which makes it perfect for the office. Quite good longevity and a real value for money. For example, their cotton-wear swatched up with a lighter verbena for a sort of crisp comfort: nothing too expensive, nothing too forward, but professional and lithe. Furthermore, Hugo Boss’ cashmere fabric was most excellently matched with Patchouli — which is decadent, warm. Close. It is the more intimate pairing. All of the fragrance bottles were wrapped in their similar, brother fabrics — be it velvet, cashmere, silk, wool, or cotton. This dismisses any assertion that smell and feel are unrelated. 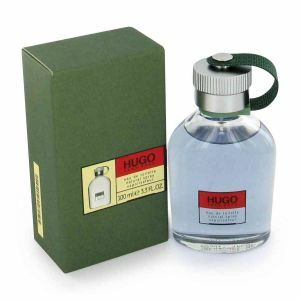 Unfortunately, Hugo Boss’ now thriving line of both fragrances and clothing hit a hiccup in 1999. Because of the company’s extensive involvement in the Second World War, American lawyers filed a lawsuit. They wanted reparations for the existing survivors in complete awareness that Hugo Boss had forced over a hundred slaves to work for him, to clothe Nazis during the war. Despite drastic, unfortunate past events, Hugo Boss remains, today, at the forefront of the marriage of men’s fragrances and men’s fashion. Join your senses: your sense of sight, of smell, of touch. And embrace the timeless luxurious Hugo Boss line.